Wanjiku was born and raised in Nairobi, Kenya. 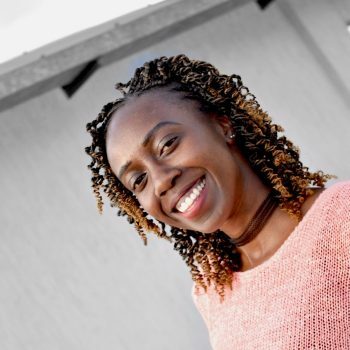 After completing her BA in Language, Communication, and Sociology at the University of Nairobi, she joined Nafisika Trust as a volunteer for six months and was later offered a full-time position as a trainer. Today, she serves as Head of Training and Development. Nafisika is a non-profit established to impact the prison service sector in Kenya and Africa. She designs rehabilitation programmes focused on behavioral change and economic empowerment for young men and women in prison. She has had the opportunity of working with young incarcerated people providing quality training and sparking innovation for this forgotten group in society. The focus of her work is to decrease crime and change the narrative of individuals in the prison complex. Being embedded in a social venture for the past three years instilled a deep sense of responsibility for society. It is her hope that Amani will enhance her current skills and equip her with greater tools to be an effective changemaker.